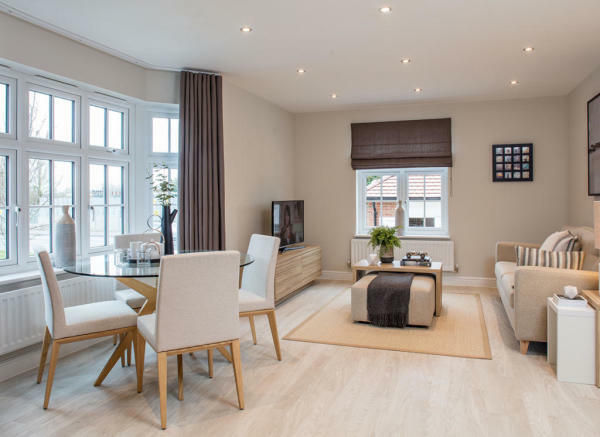 The two-bedroom apartments at Eagle House have an open plan living area with two generous double bedrooms. 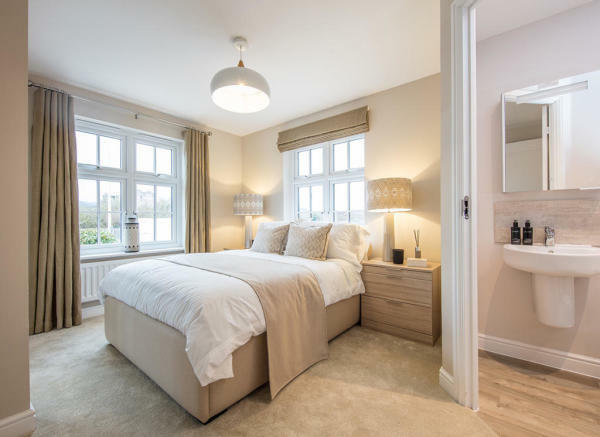 What's more, the ground and first floor apartments benefit from additional space and light from a large bay window which make them perfect for first time buyers or smaller families. These well-planned homes find the perfect balance between a room of your own and space to share. 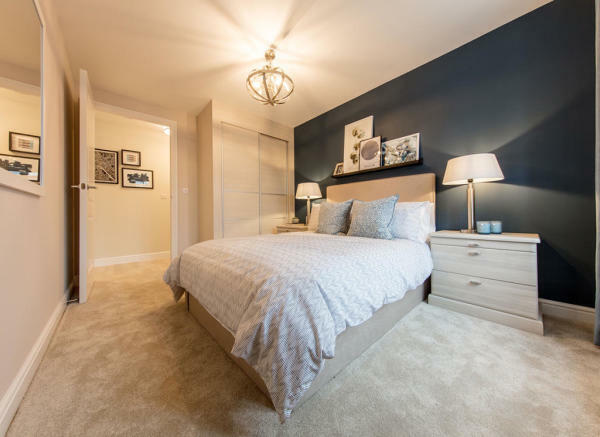 The master bedroom has an attractive en-suite and fitted wardrobes, while the second bedroom is a great size and has the main bathroom to use. 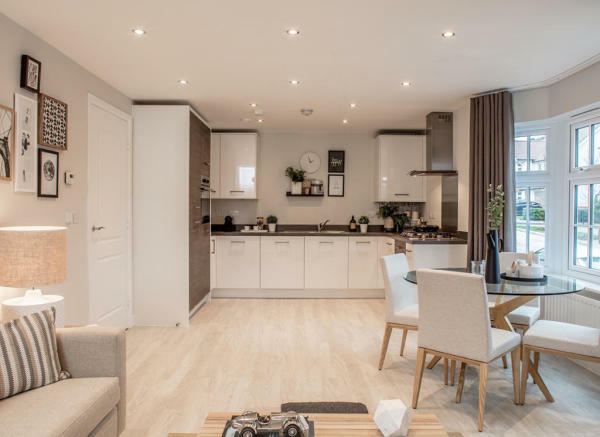 The open plan living area comes with a modern fitted kitchen and adjoining dining room at one end and lounge that feels separated at the other with windows that allow for plenty of natural light to filter into your apartment. 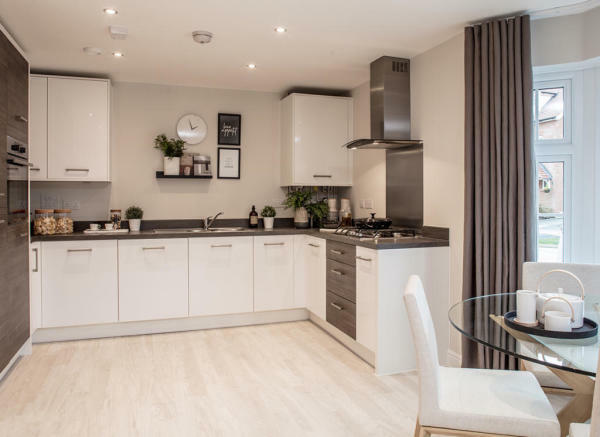 Why settle for less when you can get so much more at Eagle House – apartments that exceed your expectations. The next phase of our development on the former Herne Bay golf course has been named after one of Britain's most famous courses, Wentworth, home of the PGA tournament. 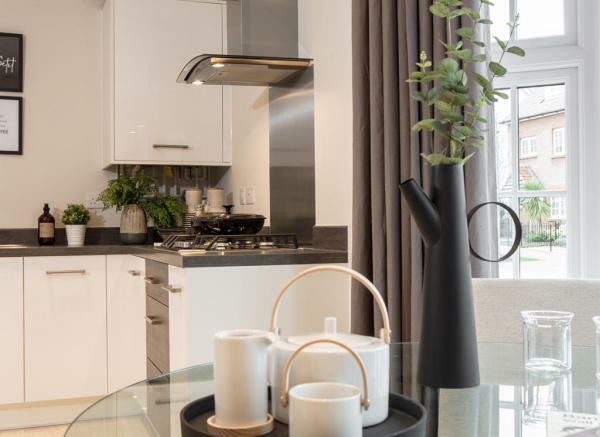 Just like The Fairways, Wentworth Park will enjoy all the open spaces and far reaching views once enjoyed by the golfers, as well as the excellent commuter links across Kent and to London beyond. 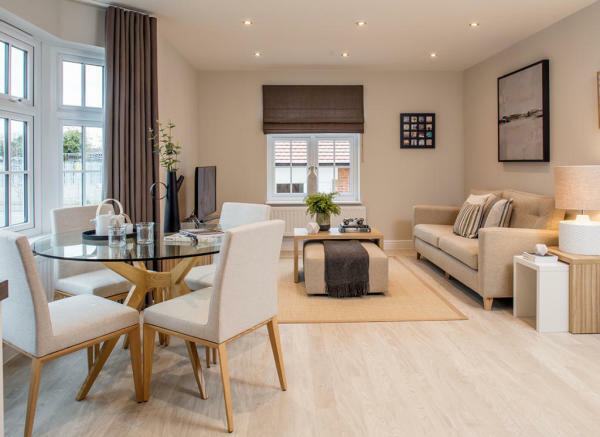 These superb family homes near Canterbury offer an enviable seaside lifestyle, with great schools, superb shopping and a host of local employment opportunities right on your doorstep, and the culture and commerce of the capital just a train ride away. This is certain to be a sought after location. 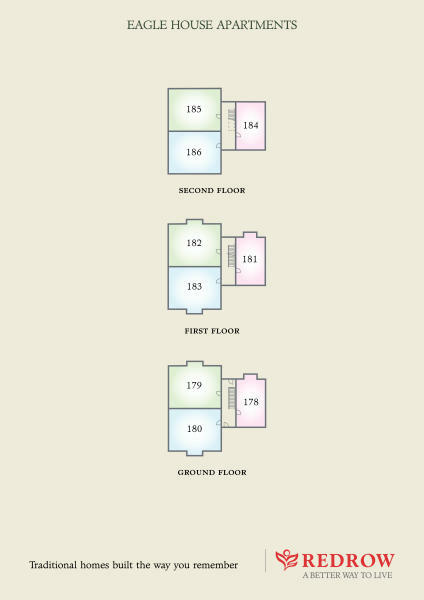 The location of The Fairways provides an excellent choice of schools within easy reach. Both Herne Bay and the adjoining village of Herne have a three-tier education system, with primary, junior and high schools. First school choices include the Ofsted rated ‘Good' Hampton Primary Academy, the ‘Outstanding' Herne Cof E Infants and Herne Bay Infants, with junior schools including Herne Cof E Juniors and Herne Bay Juniors. Both of these feed the local Herne Bay High School, which is within walking distance of the development. Herne Bay High is a specialist sports college with excellent facilities and is rated ‘Good' by ofsted. As an alternative, some local pupils travel to grammar schools in Favesham, Ramsgate and Canterbury, or to the highly regarded independent schools in Canterbury, such as Kings School or Kent College. The development sits just off the A299, around 24 miles from the end of the M2 and 65 miles from London. Whitstable is 5miles, Canterbury 7miles and Margate 12miles, with regular busses connecting these towns. Further afield, the continental ferries of Dover are 28miles, the Channel Tunnel at Folkstone is 34 miles and the international station at Ashford is 24miles. Kent International Airport is around 11 miles to the east. Herne Bay Station is within walking distance of the development, although there are also 92 parking spaces for cold, wet days. Direct trains to London Cannon Street take around 1½hrs and to Victoria take 1¾hrs. For Eurostar trains, change at Margate to reach Ashford International in around 1¼hrs. As a popular seaside resort, Herne Bay has a lot to offer for your leisure and pleasure, including 2 miles of Blue Flag sand and shale beach, and a promenade complete with arcades, shops, restaurants and cafes. The town is also home to popular Victorian gardens near the seafront. Look out for the ten-day Herne Bay Festival every August for loads of free fun activities for all the family to enjoy. Nearby Reculver Country Park, up on the cliffs, offers a great day out, with Saxon and Roman ruins, the famous twin towers and a host of birds and wildlife. For sport, Herne Bay has the Bay Sports Arena, Herons Swimming Pool and a huge choice of watersports in the harbour. The town was also the birthplace of roller hockey and has the world's oldest roller hockey club. As you would expect from a popular seaside town, Herne Bay has more than its fair share of top class eateries, especially seafood. Check out Elivavet Fine Greek close to the development or The Ship, which is the oldest building in the town. The Wine Bar, Mortimers (British) The Rising Sun (Chinese), the Oyster and Chop House (seafood), The Fish Inn and Shad (Indian) all come highly recommended amongst the towns many restaurants. There are two Tesco Extra stores within reach of The Fairways, along with a large Morrisons supermarket in the town centre. For doctors, register with Park Surgery on Kings Road (Sat Nav CT6 5RE, call 0844 387 9933) while for dentists try Herne Bay Dental Surgery on the High Street (sat Nav CT6 5JY, call 01277 366984). Herne Bay is rightly proud of its diverse and varied shopping. Alongside the big names on the High Street, you'll also find well over 100 different independent shops and stores in the small town, including the artisan Pier Retail Village. There is a market in the town every Saturday, with 32 stalls, plus a farmers' market every first and third Saturday in the United Reformed Church Hall. For a more extensive shopping trip, head to Canterbury, where you'll find the modern White Friars Shopping Centre with over 70 big name stores, or jump on a train to the shopaholics paradise that is London's Oxford Street. Disclaimer - Property reference 4e0d65eb-da86-4deb-a5da-8fc4d2bc5bdc-179_2_50_101368. The information displayed about this property comprises a property advertisement. Rightmove.co.uk makes no warranty as to the accuracy or completeness of the advertisement or any linked or associated information, and Rightmove has no control over the content. This property advertisement does not constitute property particulars. 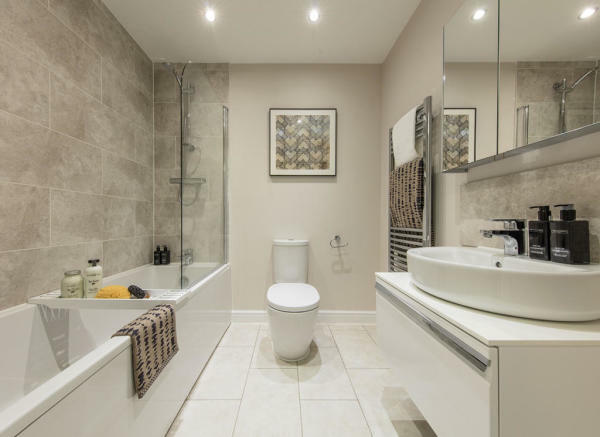 The information is provided and maintained by Redrow Homes. Please contact the selling agent or developer directly to obtain any information which may be available under the terms of The Energy Performance of Buildings (Certificates and Inspections) (England and Wales) Regulations 2007 or the Home Report if in relation to a residential property in Scotland.